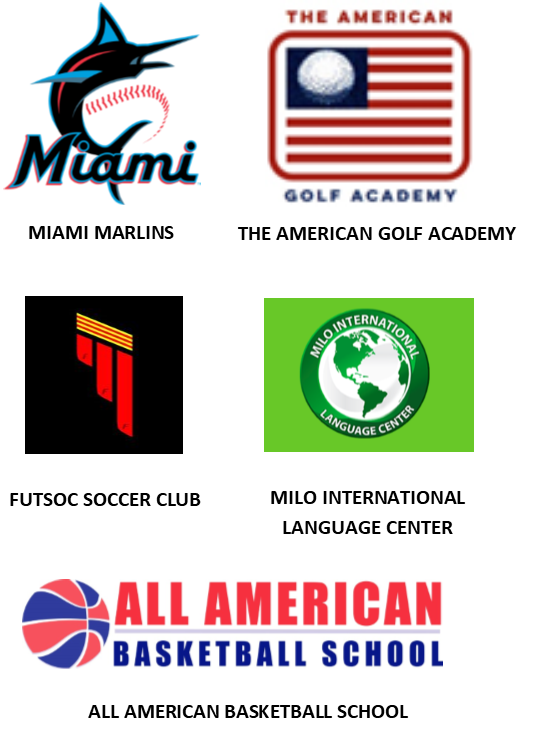 private schools and camp programs across Broward (Weston), Lee, Collier, Charlotte and Sarasota counties. PLEASE feel free to complete our Host Family Online Registration Form to get started! 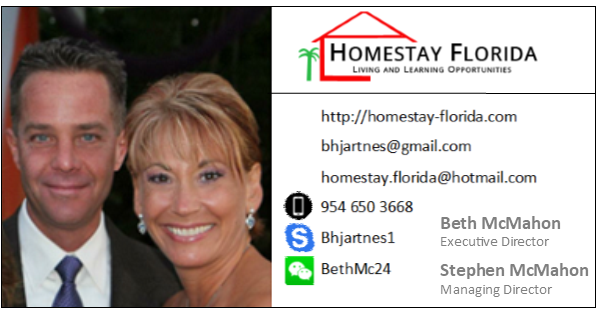 Homestay Florida offers our college, university, and language school students 3 home accommodation options depending upon student preference. Lunch: provided by family (option # 1), or by student (option # 2). Each student will require a private bedroom, along with bedding, dresser, closet, desk, wireless internet. What is the walking distance from your home to the nearest public shopping area? What is the walking distance from your home to the nearest Broward Transit bus stop? Why would you like to host an international student? Is there beneficial information to know about you or your family in order to make a compatible match? Please describe yourself and / or your family’s interests: Do you regularly prepare dinner in the evening? What kind of meals do you prepare? How will you integrate your student in your daily / weekly activities? How did you hear about Homestay Florida’s International Student Program? Please provide two character references. These must be personal, non-familial references who have known you for at least five years. Should you have any questions regarding Hosting or the Registration process, please feel free to text Beth McMahon at 954.650.3668.